A picturesque fishing village with colourful boats and houses, Bay of Fundy, high tide, Halls Harbour, Nova Scotia, Canada, North America. A view of the harbour of a small fishing village in the Bay of Fundy, high tide, Halls Harbour, Nova Scotia, Canada, North America. 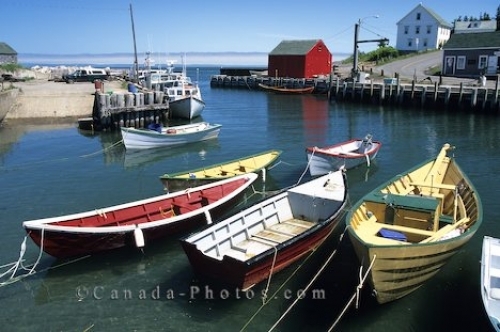 Photo of the harbour and fishing boats in teh Bay of Fundy, showing high tide at Halls Harbour in Nova Scotia.